Anti-burst Swiss Ball with a load rating of 125kg. Perfect for Fit Ball workouts, Yoga, Pilates or physiotherapy and can be use as a chair to aid with postural problems. Comes with pump. 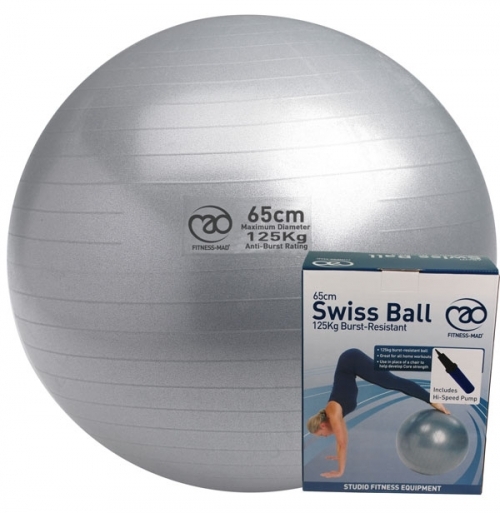 We do not recommend this ball for use when weight training - please look at our 300 or 500Kg rated Swiss Balls. Safety Tests: Factory tested as burst resistant at 125Kg, maximum lrecommended oad 100Kg .